Samuel Bernard Henshaw1,17 [Samuel Bernard Henshan18]. Born Oct 20 187510,18,19,20,21 [Apr - 18762, Dec 2 187622], Leetonia, Columbiana County, Ohio10,18,19,20,21. Henshaw, Samuel, head-of-household, age 24, born April 1876 in Ohio; parents born in England; married 3 years; occupation: roller tan plate [unclear] rented home. Henshaw, Nellie, wife, age 24, born Sept 1875 in Ohio; parents born in Ohio; married 3 years; 1 child, 1 living. Henshaw, Edna, daughter, age 9, born Feb 1891 in Ohio; parents born in Ohio. Henshaw, Raymond, son, age 6, born Sept 1893 in Ohio; parents born in Ohio. Henshaw, Nellie, daughter, age 2, born Jan [or June - unclear] 1898 in Ohio; parents born in Ohio. Henshaw, S.B., head-of-household, age 34, born in Ohio; parents born in England; married 12 years; occupation: millworker, pipe tin mill [unclear]; rented home. 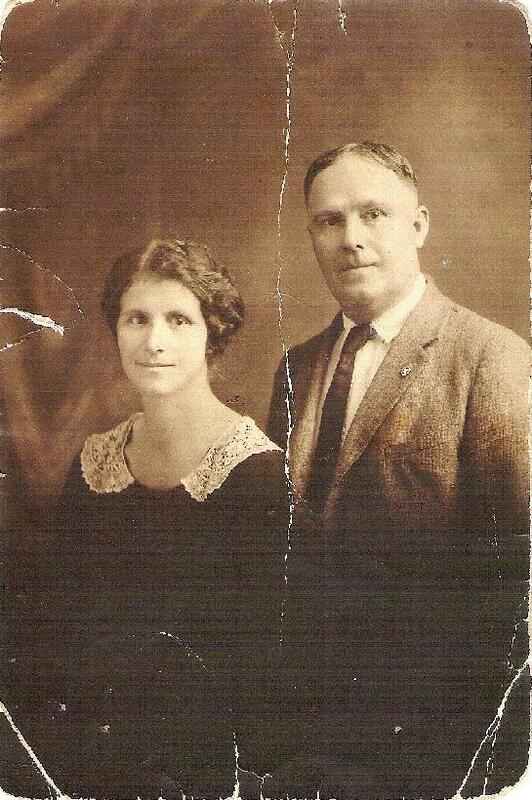 Henshaw, Nellie Flor, wife, age 34, born in Ohio; parents born in Ohio; married 12 years; 2 children, 1 living. Henshaw, Nellie Flor, daughter, age 11, born in Ohio; parents born in Ohio. He then married Blanche Ferrell1,17,24 [Blanche Farrell22,25, Blanch Farrell14], Jun 26 19151,17,24, Clarksburg, Harrison County, West Virginia1,17,24. Blanche, daughter of Hiram Joshua Ferrell & Melvina/Levinia Rebecca Williams4,6,14,17,26, was born Oct 3 18924,6,14,17,26 [Oct 3 189110,25], Grantsville, Calhoun County, West Virginia4,6,14,17,26. Henshaw, Samuel B., head-of-household, age 41, born in England; parents born in England; immigrated 189? [unclear], naturalized; rented home. Henshaw, Blanche, wife, age 27, born in West Virginia; parents born in West Virginia. Henshaw, Blanche, daughter, age 3 years ? months [unclear], born in West Virginia; father born in England; mother born in West Virginia. Henshaw, Lucile, daughter, age 2 years [unclear] 11 months, born in West Virginia; father born in England; mother born in West Virginia. Henshaw, Samuel, head-of-household, age 52, born in England; parents born in England; first married at age 36; immigrated 1890, naturalized; rented home ($20 rent); no radio in home; occupation: watchman, glass factory; not a veteran. 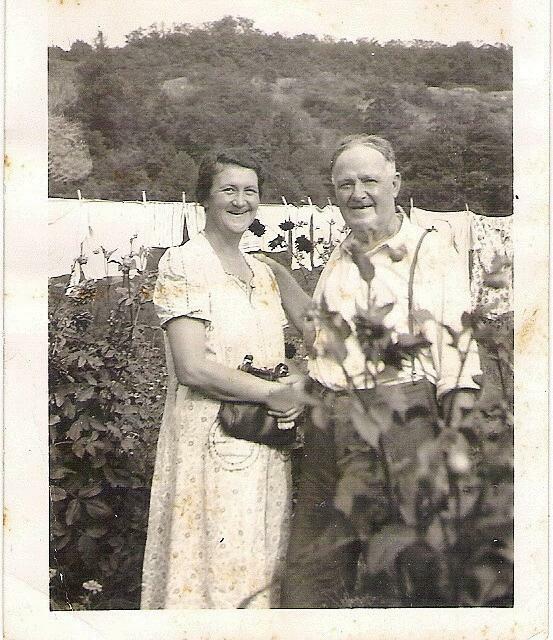 Henshaw, Blanche, wife, age 37, born in West Virginia; parents born in West Virginia; first married at age 22. Henshaw, Blanche, daughter, age 14, born in West Virginia; father born in England; mother born in West Virginia; attended school. Henshaw, Lucille, daughter, age 12, born in West Virginia; father born in England; mother born in West Virginia; attended school. Henshaw, Thelma, daughter, age 10, born in West Virginia; father born in England; mother born in West Virginia; attended school. Henshaw, Audrey, daughter, age 8, born in West Virginia; father born in England; mother born in West Virginia; attended school. Henshaw, Ruth, daughter, age 4 years 8 months, born in West Virginia; father born in England; mother born in West Virginia. Henshaw, Donald, son, age 2 years ? months, born in West Virginia; father born in England; mother born in West Virginia. Henshaw, Samuel, head-of-household, age 64, born in England; completed 8th grade; on Apr 1 1935 was living in the same place/city; rented home ($10/month rent); occupation: gate-man, Pittsburg Plate Glass; worked 52 weeks in 1939; $1340+ wages in 1939. Henshaw, Blanch, wife, age 47, born in West Virginia; completed 8th grade; on Apr 1 1935 was living in the same place/city. Henshaw, Ruth, daughter, age 14, born in West Virginia; completed 2 years of high school; on Apr 1 1935 was living in the same place/city; attended school. Henshaw, Donald, son, age 12, born in West Virginia; completed 6th grade; on Apr 1 1935 was living in the same place/city; attended school. Henshaw, Dennis, son, age 10, born in West Virginia; completed 4th grade; on Apr 1 1935 was living in the same place/city; attended school. Henshaw, Neil, son, age 7, born in West Virginia; completed 2nd grade; on Apr 1 1935 was living in the same place/city; attended school. Farrell, Melvina, mother-in-law, age 73, born in West Virginia; completed 6th grade; on Apr 1 1935 was living in the same place/city; widow. 1900 census, 24th Ward, Cleveland, Cuyahoga County, Ohio; roll T623-1256, ED 122, page 21B, line #92, dwelling #326, family #406. 1920 census, Clark Township, Harrison County, West Virginia; roll T625-1955, ED 53, page 12B, line #89, dwelling #256, family #266. Contribution from Cindy Este Loy (). Samuel Bernard Henshaw's birth record. 1880 census, Leetonia, Salem Township, Columbiana County, Ohio; roll T9-1002, ED 58, page 615C. line #1, dwelling #663, family #680. 1910 census, Steubenville, Jefferson County, Ohio; roll T624-1201, ED 124, page 10A, line #48, dwelling #190, family #223. Posting May 28 2004 by Cindy Este Loy to OHCOLUMB-L.